The Bobolink is the quarterly bird publication, dedicated to a twelve-county area in northeastern Ohio. This publication was started in early 1997 to cater to the interests of the area’s growing number of persons interested in birds. The purpose is to provide an accurate record of bird movements and their abundance in the Bobolink area. Also of special interest is an educational role for young people, as well as for anyone interested in learning about birds. 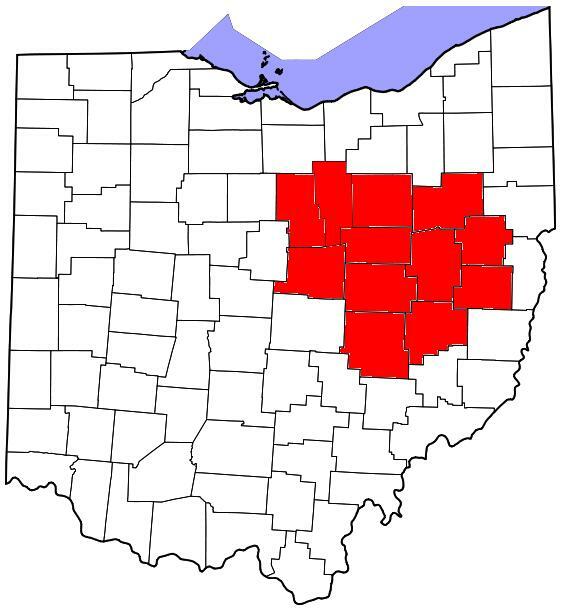 The Bobolink area consists of the following twelve counties in Ohio: Ashland, Carroll, Coshocton, Guernsey, Harrison, Holmes, Knox, Muskingum, Richland, Stark, Tuscarawas, and Wayne. Brand new! The Bobolink Area eBird Field Checklist is now available online. You may print it for free. This is primarily for those of you who do not have the wonderful phone app called BirdLog for electronic data entry in the field from your smartphone. Birding areas in the Bobolink region include Atwood Lake, Berlin Reservoir, Charles Mill Lake, Clear Fork Reservoir, Clendening Lake, Funk Bottoms Wildlife Area, Killbuck Marsh Wildlife Area, Knox Lake, Leesville Lake, Mohican State Forest, Piedmont Lake, Walborn Reservoir, Tappan Lake, Pleasant Hill Lake, Salt Fork State Park, Seneca Lake, The Wilds, and Woodbury Wildlife Area. I can’t seem to find anywhere to report a rare bird sighting. We were driving home today in a heavy rain, and the ditches and yards were filling with water. A male Mallard and a very unusual larger duck or goose flew to the roadside ditch. We turned around so I could take pictures from a nearby driveway from our car. I searched goose and duck photos extensively, and finally discovered that the unusual waterfowl is an Egyptian Goose/Shelduck. I was not able to find any other sighting of this bird in the US. I read that the bird is from Africa, and feral to Norfolk UK. It was spotted on Akron Rd., near Strauser, east of Canal Fulton Ohio. The duck/goose you found is almost undoubtedly an escapee from a local collection. Although it would probably not be accepted as sighting of a wild bird by a records committee, finding birds like this can still be fun. I remember finding a Ruddy Shelduck in Ohio years ago and it made my heart beat faster while I was looking at it. Good find! If you want to submit your sighting as a rare bird, you can do so online on the Ohio Ornithological Society’s website at http://www.ohiobirds.org.